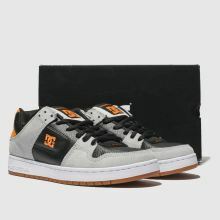 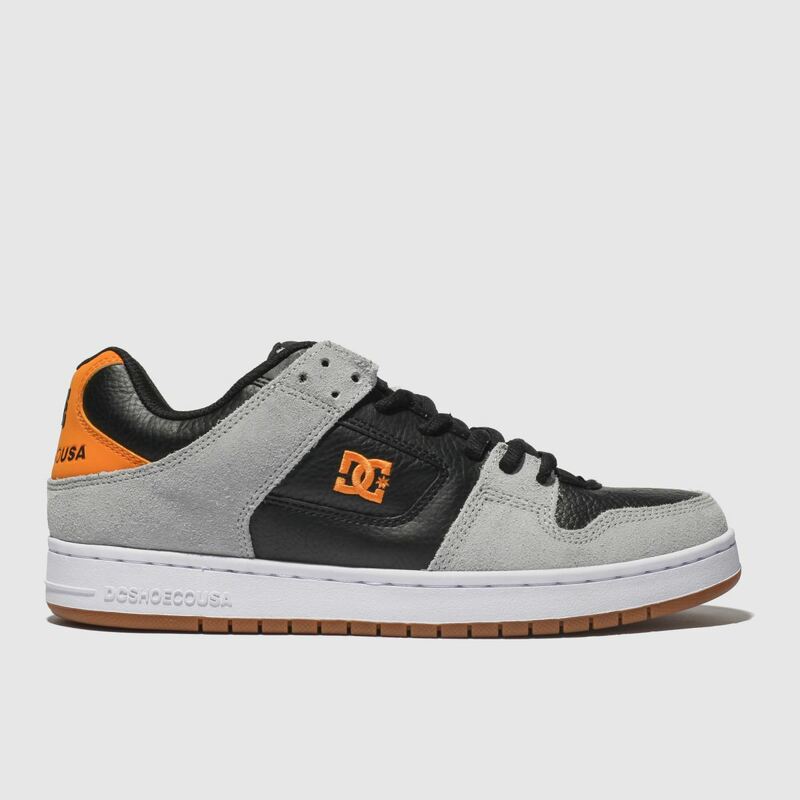 Built sturdy for skating all-day long, DC Shoes deliver the Manteca TX SE profile. 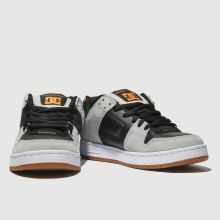 The black and orange leather upper boasts a bright and bold feel while grey suede overlays add a stylish edge. 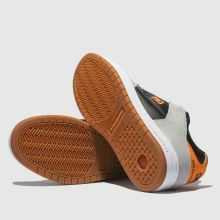 Ankle and tongue padding creates a smooth ride to finish.